I’m a lager guy. Love ’em. I sampled a few Uinta Gelande Amber Lagers in a combo pack I picked up at a local store recently. This lager has a nice body and head and has a decent flavor. Of the several local breweries here in Utah, I’d have to rank Uinta in the lower half. I haven’t really had any of their beers jump out and scream to me to have another one. That’s the case with this one too. Don’t get me wrong. 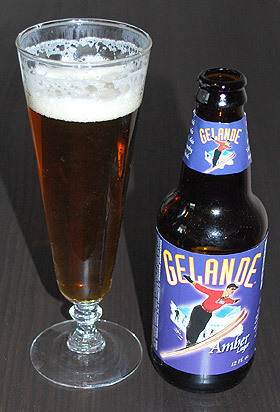 The Gelande Amber Lager beats the hell out of any regular piss-water beer like Budweiser, Coors, Miller etc. If I’m at a party and it is a choice between some lame big name American beer or a Uinta it is no contest.